This beautiful library is filled with symbols of our abundant gifts. It’s a curious paradox that some of the people who have the most possessions never seem to have enough, and some with the least are the most content. It’s too simplistic to say that wealth creates unhappiness (though it often seems to do just that). It might have more to do with the sort of mindset that prioritizes wealth above more important goals. Chasing after wealth seems to be getting the cart before the horse, though. I really think it starts inside. No matter my circumstances, I find that the more thankful I am, the more I have for which to be thankful. It’s the sort of thing that one has to experience to understand, and the longer one sees this dynamic at work, the stronger its influence on the course of life. Today, I hope we all are able to start, or continue, a quest to understand that true wealth — which often has nothing to do with money — is within our grasp. I find it a great challenge sometimes to rejoice in the way things are. But I believe it’s the best way to live. Thank you Patricia, I’m so happy you liked it. From reading your book I think that this joyful attitude toward life must be part of “the Italian thing.” We are all blessed to have abundant reasons to love. Thanks for being here. Admittedly I used to have a problem with acquiring things. I’ve always been a techie and a geek. I had to have the latest, fastest computer with the latest updated software. Time, age and a lack of funds cured me of that foible. There’s a word you don’t hear every day! Bob, I’m surprised foible is not a more popular word, because I think the incidence of them is increasing every day! Kind of like how the word feckless seems to fit more and more of us, at least part of the time. 😀 I’ve never been an “early adopter.” I’m too cheap frugal for that, plus I like for all the bugs to be worked out before I start trying to learn something. I get irritated at how the tech folks seem to me to be always fixing what isn’t broken. But I suppose that’s just the gadfly in me (couldn’t resist tossing out another underused word). Troubleshooting and fixing electronics earned me a living for 43 years. Nothing like fixing other people’s problems your whole life! I’m good at it but don’t necessarily enjoy it. If you worked at it for 43 years despite not being particularly fond of it, that means you get extra points for discipline and diligence. I tend to like doing what I’m relatively good at because the things I’m not good at are so frustrating, and yet I sometimes I have to do those things anyway (housekeeping, driving, most types of cooking :D) which leaves me feeling very mediocre and out of sync. I think people who have a job they truly love are so blessed. One thing is for sure, anybody who knows how to fix electronics will probably never have to look very far for work. You don’t know how hard it is to get a good job in electronics. Companies hire sheepskins, degrees, whether they know anything or now. Electronics can be a low paying job with high demands and responsibilities. The South, for example, is 20 years behind the west coast and needs far fewer technicians. Wow, I didn’t realize that. However, I guess it makes sense. Except that I would think the supply of qualified technicians anywhere on the West Coast would be greater than elsewhere, for obvious reasons. I know very little about technology, but 35 years of stumbling through using computers in various contexts has convinced me that no amount of classes can make up for experience. It seems as if there are so many different things that can go wrong, far too many to learn about in advance, and most of what I have learned I had to learn by doing, as reading about it makes no sense to me. Even when I read the books written “for Dummies” I can’t make much sense of them. Some mornings, I have a golden sunrise! 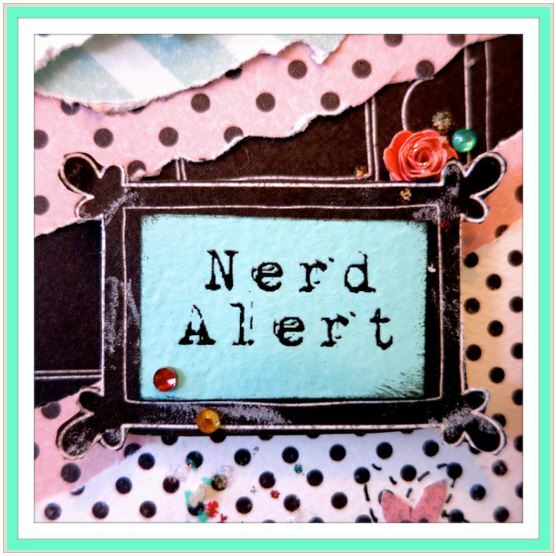 Hi Susan, thanks for reading not only today’s blog, but the one from a year ago too! I really needed today’s message. Matt and I spent most of the day at Walter Reed (in Bethesda) with Jeff, where he had to have unexpected minor surgery to drain an internal abscess, likely the result of chemo-related infection. We are home now after an EXHAUSTING day – turns out I really needed that lovely day yesterday to brace me for today! Oh, no. Poor Jeff. How is he feeling at the time you read this? Much as he usually is at such times; tired, taciturn, somewhat relieved, and determined to return to “business as usual” tomorrow. It didn’t help matters that the PET scan results today were not encouraging. Lung tumors worsening, which is really disheartening after all he has suffered with this most recent course of chemo (two trips to the hospital since this course started). Perhaps this will be an incentive for the docs to seek other solutions. I have been lobbying for RFA because of a recent study by Sloan Kettering that seems promising. Keep those prayers coming! I’m so sorry to hear how discouraging the news has been. You and Jeff are in my prayers. Thank you so much. We need and appreciate the prayers! I believe it has crossed others minds, as it has mine, to aquire a large sum of money in an instant. My first thought is to eliminate the concerns of bills to be paid that are as constant as the tides. Next are those who I know, and there are many, who are in need and could use my shared good fortune. Unless one is completely self-serving, these philanthropic efforts can become quite daunting. What you say is quite true. Leaving me with the thought that I am content. And there is something much more important that we can share with our loved one’s than money, which tends to create more troubles than it solves. That something is ourselves. Alan, I might get an argument from some people on this, but I think most everyone (even those not blessed with significant means) lack money less than they lack human concern and kindness. That doesn’t mean money isn’t necessary, but I agree with you that it is not the panacea we think it is. One of my favorite verses in the Bible is the one that says that those who are faithful over a little will be put in charge of more. Also the story of the poor widow who gave from her poverty more than all the richest donors. It’s very easy to think “If I only had more money I would _____________” but as God said to Moses, “what is that in your hand?” Everybody has something to give, and often, it has nothing to do with money. Julia, I needed to read this today. Thanks! Thanks for being here, Brian. I’m so glad it was helpful! How timely. My son is in the process of researching and writing a post on happiness for his English class. One of his three points came from a study proving that more and more possessions create unhappiness. I think the onset of the advertising age created a lot of dissatisfaction in order to sell products: makeup, clothing, furniture, fancy cars, the latest phone…as a society we chase it, catch it, then realize hunh…not what I thought it was. Conversely, Buddhist monks find inner contentment and actually train their brain to see the cup half full. It’s a lot of food for thought. Alys, your son picked a great topic, and it’s one I think (and hope) that a lot of people are waking up to understand more and more. We are surrounded by commercial messages, and even the so-called editorial content of our publications is embedded with advertising; how many times have you turned to an article that promised to show you new ways to clean, cook, beautify, whatever, and the “article” turned out to be mainly a parade of brand-name product recommendations? These advertisers buy ads in the magazine, and in return the magazine embeds subtle (or often not-so-subtle) plugs in their stories. I’ve gotten where I just turn past those types of “articles” and sometimes even tear them out and recycle them! I used to tell my sons “if you didn’t need it before you saw it, you didn’t need it.” Having said that, I do love to shop sometimes, but buying is something I do very reluctantly and usually with lots of thought beforehand. For one thing, I already have too much I need to turn loose of anyway! My new goal is to use up, give away or otherwise deal with what I already have, before I buy more. That’s a wonderful goal, Julia. Like you, I find ad-based articles a complete turn off. Ads are here to stay, but that doesn’t mean we don’t have a say in them. I’ve installed AdBlock on my computer and no longer see any ads on Facebook. It’s positively liberating. Hey, I didn’t realize I could do that! I need to look that up. I find the ads SO distracting! Hurray, hurray!!! Well done, Julia. This is great! Thanks for sharing it. I love to shop on the Friday after Thanksgiving, but mostly because I find it kind of festive and fun to see lots of people out before daylight. 😀 I usually buy 3-5 things, mostly Christmas gifts, but I have a blast just taking in the carnival atmosphere. I agree, though, that it can be depressing to think about people going into debt for things that will be forgotten or disregarded before the bills are paid. If I read correctly, they arrive at the “median metastases of 1 tumor ablated per patient” by the statistic that there were 69 metastases in 45 patients. Similarly, they base a 46-month survival on a limited sample group (considering they go back 10 years from our current date). One of the courses I found most difficult at Ga Tech was “Bio-Statistics”, and specifically calculating “chi squared”. When I speak of “re-doubling” my prayers, I hope that seems “statistically significant” to you. Yes, re-doubling the prayers is appreciated, though I am thankful that God is not bound by statistics. 😀 I know nothing at all about statistics and probability, let alone bio-statistics, but it seems to me that one difficulty in any truly innovative or “cutting edge” treatment is that your initial samples will almost always be small. Add to that the increasing research findings that the placebo effect is very real (something I’ve always believed) and the whole idea of a control group is sort of moot. Also, when dealing with a specific diagnosis and group of people, that would narrow it down even more. One thing that I found somewhat discouraging about chemotherapy studies is how small a gain in survival was considered statistically significant. In the war on cancer, ground is gained by inches at a time. Still, I do find the concept of RFA to make more sense overall than chemotherapy, in which the doctors are basically trying to kill the cancer before they kill the patient. RFA or any targeted therapy just seems more sensible to me, particularly when the remaining cancer appears to be confined to one area (as I understand it, the great advantage of chemo is that it hits the cancer wherever it may be in the body). Thank you Julia for discussing the philosophy of chemo therapy. When my friend, David, was first operated on for colo-rectal cancer the oncologist told him that if had chemo, there would be an 82% chance the cancer would not show up anywhere else. Now, a year-and-ahalf later, with liver resection scheduled, they say having chemo treatments before and after the surgery will give him a 50-50 chance of the cancer not returning. On the other hand, I have to confess that I once bought a three-year Square Trade warranty for my $120 Creative Zen Mp3 player. The Square Trade warranty cost me around $30. When my player malfunctioned after about 2.5 years of constant use, they refunded me the ENTIRE PURCHASE PRICE, no questions asked! I was amazed. So sometimes it works out. Sometimes life feels so, ‘one-day-at-a-time’. But then before you know it a year’s gone by, then two. Zing, done and done. So enjoying life and what I have now, is so important to me. I really feel the urgency of this. Maybe because I turned 50 three years ago? Or maybe it’s just maturity. When you travel some or even look with open eyes in your own community, it’s easy to be thankful for all the small things we take for granted because there’s a lot of desperate souls out there that need so much help. I have a lot to be grateful for. Are we rich? Maybe not in the bank, but in life, love and friendships. K, I think we are even rich in the bank, compared to so many others who don’t even have a steady diet or a shelter from the weather. I think you are right about age and maturity helping us see the urgency of opening our eyes to our blessings, and appreciating what we have. But we are never too young or too old to learn that lesson. I feel I learn it a bit more with every day that passes. 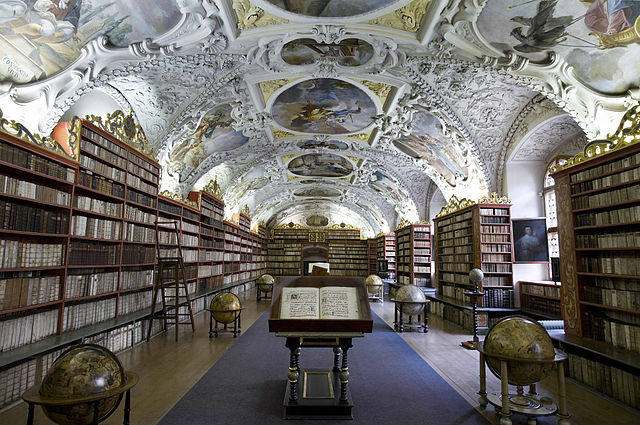 PS, the Library in Prague looks gorgeous. Before I read the caption, I thought it was maybe in Vatican City. Isn’t that an amazing place? As soon as I saw that photo on Wikimedia Commons, I knew I wanted to use it in a blog. I would like to see it in person someday. There are so many beautiful places all over the world that are not among the well-known iconic locations that we see over and over in the tour books. So much to see, so little time! Sheila, thank you. I feel the same way. Jeff is feeling at least well enough that we are returning from a quick visit to his family in Tennessee (a trip I was afraid we would have to cancel when he landed in the hospital the day before our flight out was scheduled) but he is the kind who keeps going despite all obstacles. The antibiotics and anti-microbial meds they are giving him are leaving him feeling not so great, but he is a real trooper. Thanks so much for your “evergreen” friendship! It brings cheer to me daily! Since I value our friendship so highly, YOU are one of my favorite “treasures”! Praying for Jeff, Matt & you as day-to-day the 3 of you love each other through this time of stress. RFA- radio frequency ablation? I know they are doing a bunch of gene-sequencing studies here at Gene Hutchison cancer center in Seattle. As you know Gladsen says the prosperity thing is an upside down U curve. Past around 75 thousand the benefits go down rather quickly and of course there is a downside that you need a minimum. It is too bad we can’t give everyone at least a minimum level of benefit. Michael, yes, RFA is radio frequency ablation. They have also discussed analyzing some of Jeff’s cells to try to produce individually targeted therapies, but this would be through becoming a participant in a clinical trial, as it’s not standard practice yet, as far as I know. We should be finding out more fairly soon. Yes, it does sound like socialism to say “give everyone a minimum level of benefit” but another way of saying the same thing, in such a way as to be less frightening to some, would be to say “It’s too bad everyone cannot have a good job with health care and retirement benefits, because until then, we will continue to have gaps that must be filled somehow.” Having said that, I truly believe that Jeff and I are lucky to have lived below the poverty level, at least in terms of our income, while he was in dental school, and then at a very modest level of income during the early years of our children’s lives. We learned (and I hope passed on to them) that happiness is found in things that don’t cost very much: friends, fellowship with our church family, time together at home, books, outings, daily life, healthy (not fancy) meals. We were always aware of how lucky we were to have health care through the military, and the chance to build our savings and for Jeff to move forward in his career. If these things are in place, I think it can be a wonderful thing to live on a small income. Living frugally instills many other virtues that pay a huge dividend later in life. Your comment on the generous widow-reminds me of something I have wondered about- can we give out of our poverty?. There is probably much to learn from poverty. So many times we say well I don’t have much to give yet like you say about Moses,” what is in my hand?” If you can give out of your poverty then you are, indeed spiritually mature. Not everyone can do this. Nor I. That is a 300 level spirituality class not 101. It is really not about how much you have. It sounds like your nana was a “living saint” as they say. She proved by her life that it is possible to give out of her poverty, and that does offer a challenge to all those who follow. What a wonderful legacy that people you did not even know spoke of her generosity. My uncle was said to be a very generous man-I think it true- but his wife complained that if not for her he would, have given all away even the shirt off his back. Well -like when Mother Teresa passed with two nuns habits and a worn bible to her name- rich in spirit -poor in material possessions. I shudder to think if my kids have to take care of all my junk when I am gone. Jen is on bed rest now and may have to wait another week with the possibility of induction. No baby yet. Michael, I’m sending up more prayers for Jen and baby. Also everyone in the family who is anxiously awaiting her. I am sure your organizer friend has lots of ideas, and I was told in regards to clothes if y ou have not worn it for a year-box it up. Then in another three months if you have not gone to get a piece of clothing out of the box=- give it away. “Born to Organize” posted an article I will have to check out. Michael, I know that’s a good idea, but I tend to fool myself about: clothes I love that I’ve outgrown (“I can wear it when I lose weight”); clothes bought for fancy occasions I’m unlikely to need again (“Maybe I can wear it for dress-up night on a cruise sometime”); and really comfortable things that are too shabby to wear anymore (“I can wear these to work in the garden.”) Never mind that I have enough “gardening clothes” to last several lifetimes. The box thing would work well, except that I always go through the box again before taking it to Goodwill, “just in case.” 😦 Maybe I can break that habit.